Food Forensics… | Retired? No one told me! The book I am reviewing is a book which is a little worn around the edges and one which I read regularly or parts of it and use it as a term of reference. The Natural News Forensic Food Lab where Mr Adams did this research is ISO 17025 accredited. That accreditation depends on international standards for procedures and accuracy, regularly verified by third-party audit. They follow standards from the AOAC (Association of Analytical Communities), EPA, NIST and FDA. It is a book which if you are like me you like to know exactly what is in your food and not just one of the so many names which ingredients can go under but the proper names. Some of which I remembered from my school days but many which I had forgotten especially the symbols for some of the chemicals. 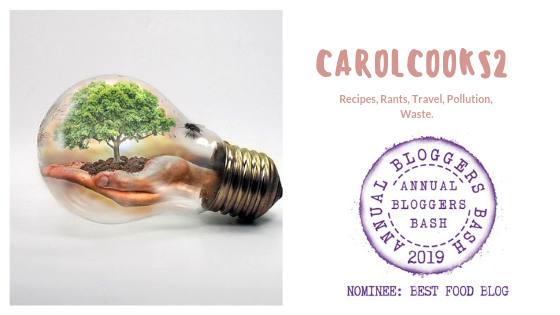 This entry was posted in Food Forensics, Health and Nutrition, Healthy Eating, No faddy diets just healthy food, The ultimate blog challenge, Uncategorized and tagged Food forensics book review, Health and Nutrition on April 3, 2019 by CarolCooks2. Thanks for sharing the review. The book sounds both interesting and important. What a great review! Since I started my healthy eating plan I find myself reading the ingredient lists constantly. This would be a must have book for me! ” food manufacturers are not high on my list of best buddies. . .” Ha! They’re not even on my list of best buddies. The book sounds interesting, I’ll have to check it out. I agree, life is a ride worth riding, and trying new foods is a wonderful part of the adventure. This is terrific! Thanks for sharing – a powerful and important work to be sure! The book cover is appealing, and I’m impressed about how thoroughly you researched the book before buying it. A discriminating reader you are, Carol!